By now it’s well known that the Jon Gruden-led Oakland Raiders are a complete mess. At 1-7 on the season and being outscored by nearly two touchdowns per game, things aren’t going too swimmingly in Northern California. The backdrop here is rather obvious. By trading Khalil Mack and Amari Cooper over the past few months, Gruden has created an atmosphere that’s seemingly pitting players against the organization. 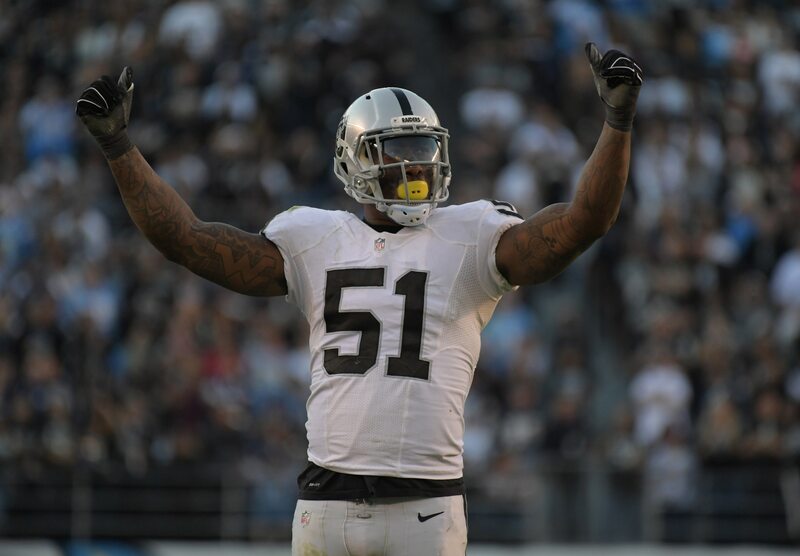 The latest casualty here was leading sack getter Bruce Irvin, who found himself waived by the Raiders this past weekend. Having since signed with the Atlanta Falcons, Irvin took part in his first practice with his new team on Thursday. Free from the wrath of one Jon Gruden. Free from a team that’s quickly become NFL’s laughingstock following last week’s humiliating 34-3 loss to the 49ers. Irvin, 31, should provide a pass-rush jolt for a Falcons team that’s in the midst of a three-game winning streak and needs some help in that area with Vic Beasley struggling big time. As it relates to the Raiders, defenders on the roster have a combined four sacks on the season. Yeah, we can expect Mr. Gruden to continue wondering where the pass rush has gone. Fun times in Oakland, indeed.